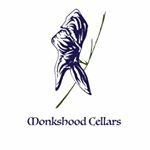 Monkshood Cellars is a young winery; which opened in 2016 with an old world philosophy. Monkshood produces Syrah, Chenin Blanc and Cider. At Monkshood Cellars we believe in the cadence of the natural process. The idiosyncrasies of each growing season paired with its fermentation determine the shape of the wines. These differences, both subtle and palpable, are a point of emphasis showcased vintage to vintage. That said, the fulcrum point each wine relies upon is picking the local Colorado fruit with acidity and freshness. Our senses of sight, smell and taste guide the decisions while science lends a quantitative backbone that reinforces each decision. Once the fruit is picked the primary focus shifts to shepherding the fervent fauna that governs the transformation of juice to wine and apples to cider. It is our belief nurturing a diverse ecosystem during fermentation permits nature to showcase its purity of place. At Monkshood we forego the use of commercial yeast strains or store bought bacteria, acid or enzymes, fining agents or filtration. We choose to rely on the natural fermentation process; reserving intervention if, and only if, a flaw is impending. The natural process of fermented fruit is to enter a secondary fermentation of Ethanol to Acetic Acid. It is at this time the focus is on wine rather than vinegar and we do in fact intervene. In order to halt this overly acidic fermentation, Sulfur is added. To retain acceptable levels of acidity in our reds the time on skins, or maceration length, is limited. This retention of acidity permits our wines to unfold on their own. Nominal, if any, new oak is used in the winemaking. Terroir of Colorado provides the essential progression of beautiful wines. Balancing mindful- neglect and the science of winemaking go into creating a noble & visceral personality in each of our wines. Our Wines Are Best When Enjoyed.